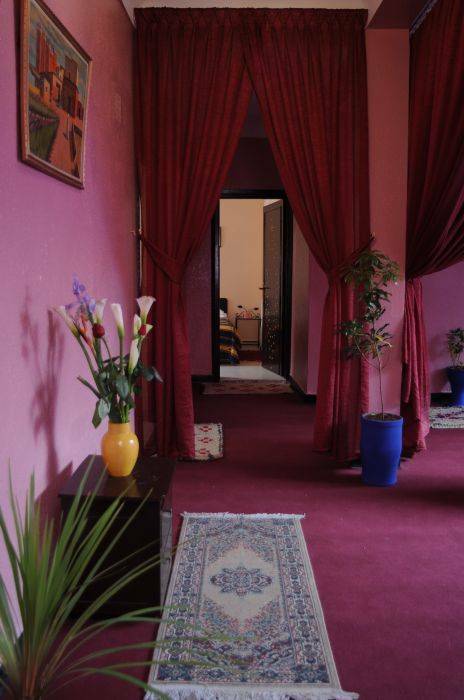 All our rooms are air conditioned, with shower, well equipped and insured for your comfort. Great Riadd ... We stayed with 3 women for 5 nights in El Kannaria, Marrakech. Had a great time here. 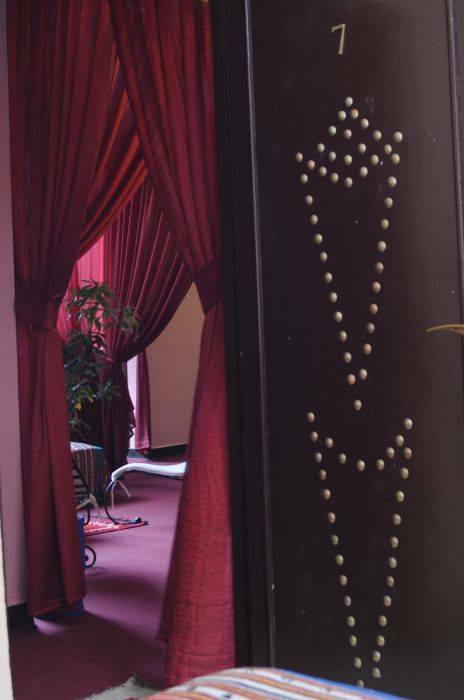 Clean room, good airco and verry near the square and souks, medina. 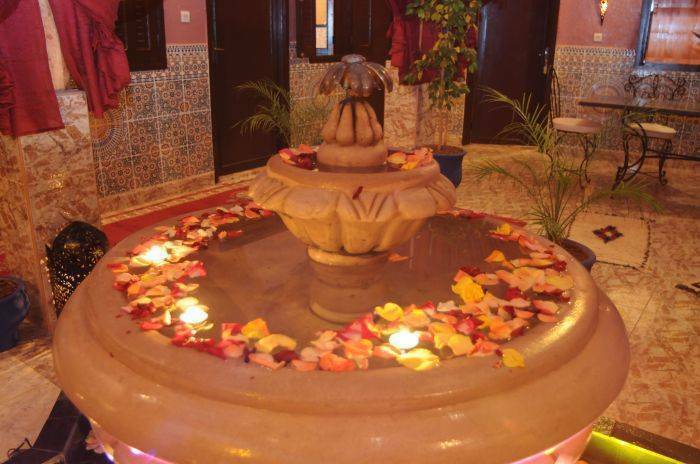 Located near the famous Jemaa Elfna in the medina of Marrakech, Riad el Kennaria Hotel, completely restored following the Moroccan tradition, invites you to experience the joy and charm of the town red. 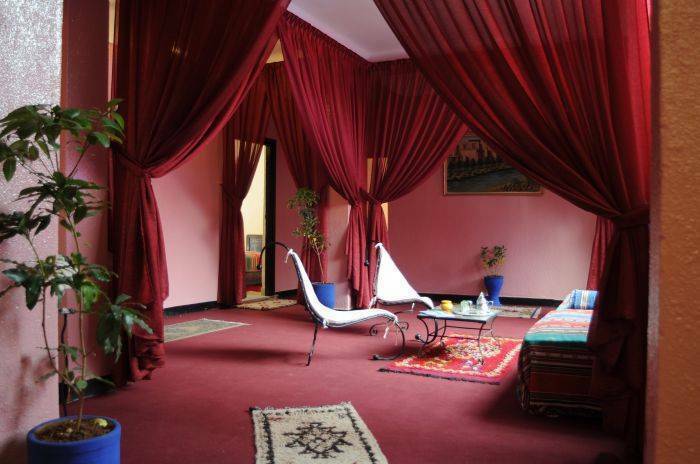 Easy access, only 2 minutes walk from Jemaa El Fna like palaces and souks of Marrakech, Riad El hotel Kennaria you will taste the sweetness of oriental life. 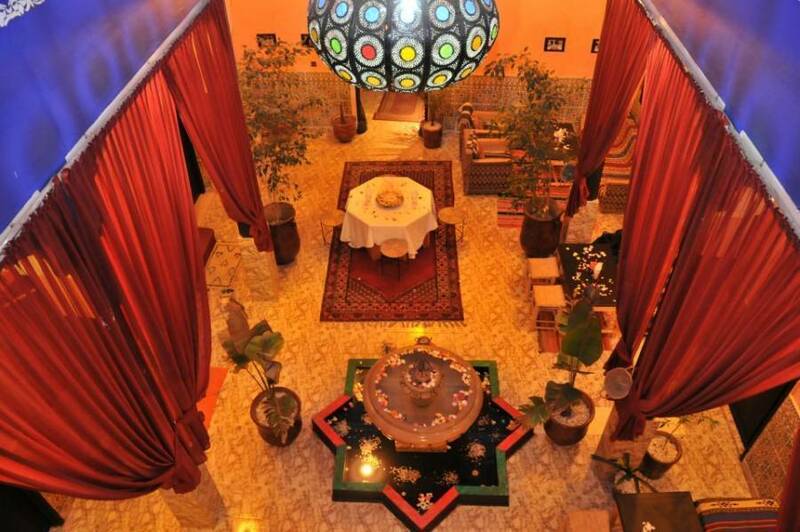 You will enjoy the patio Oriental scents and comfortable rooms where you contemplate the nights of Marrakesh.